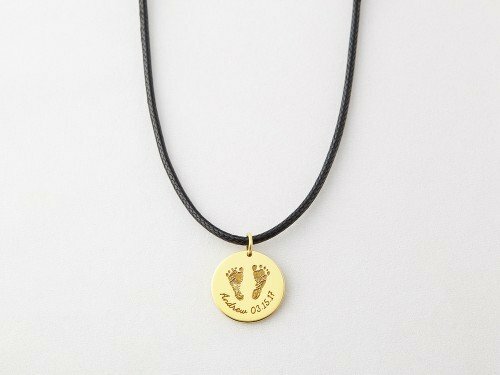 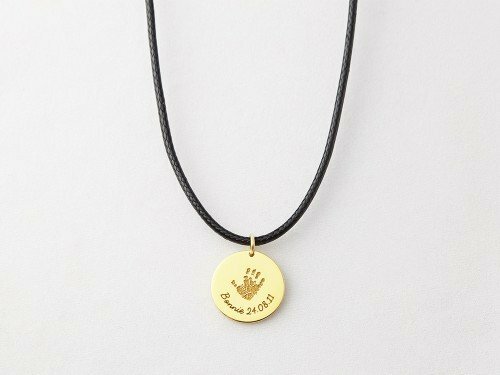 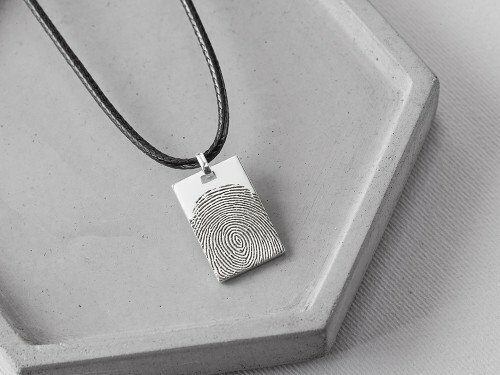 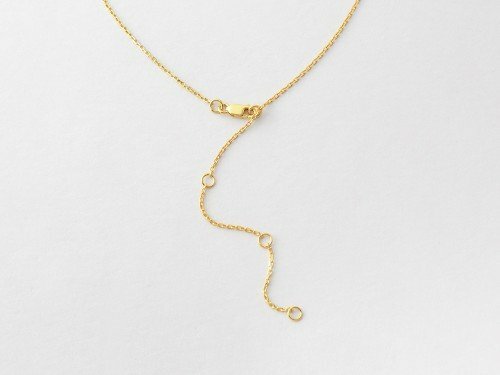 This unisex footprint necklace is worn with a cool leather cord, making it perfect gift for both mom and dad alike. 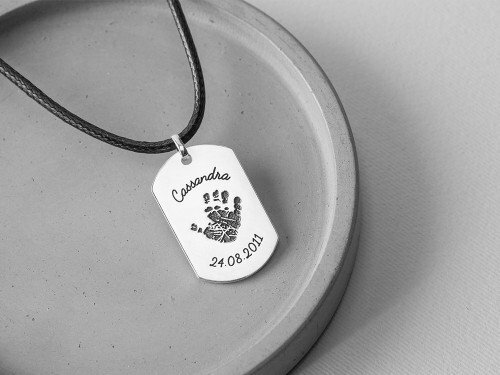 A gift with kid's footprint is a wonderful baby shower gift for new mom and dad. 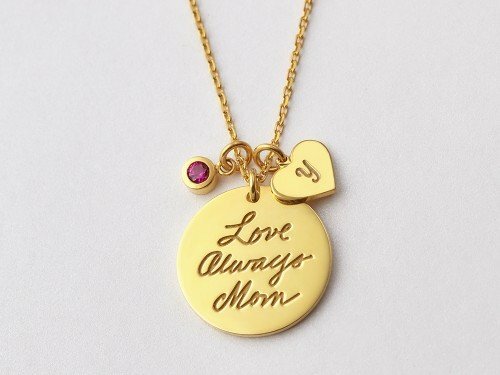 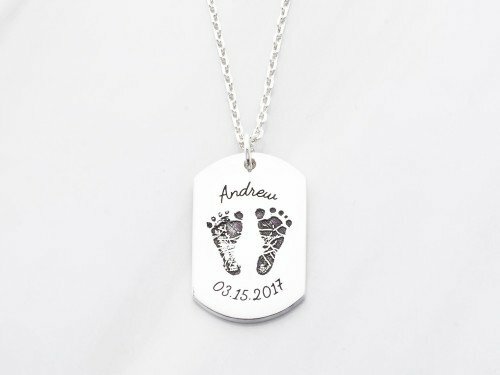 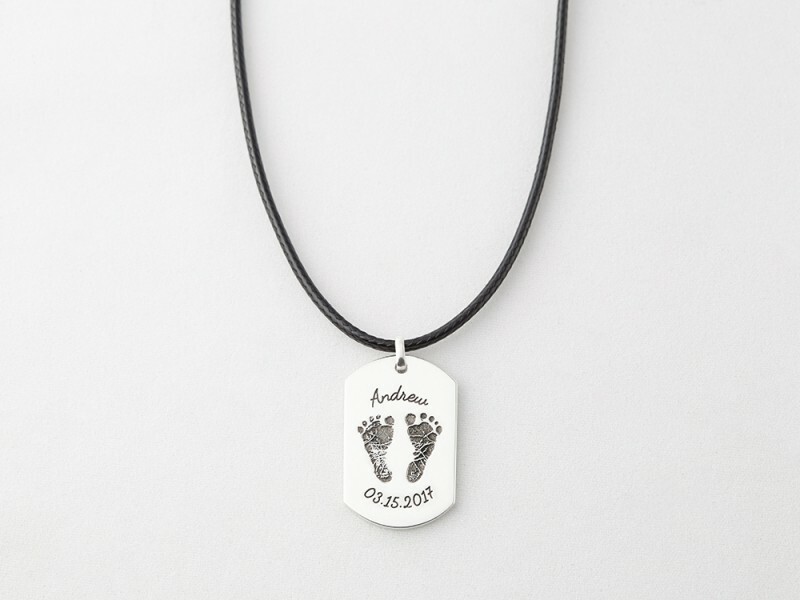 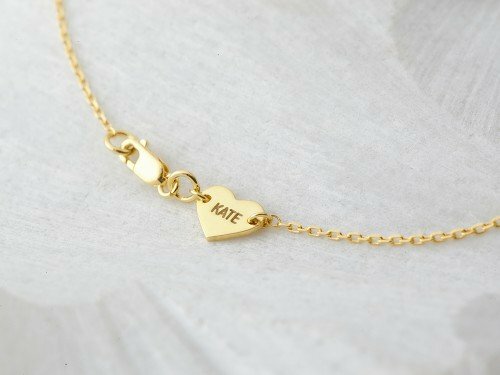 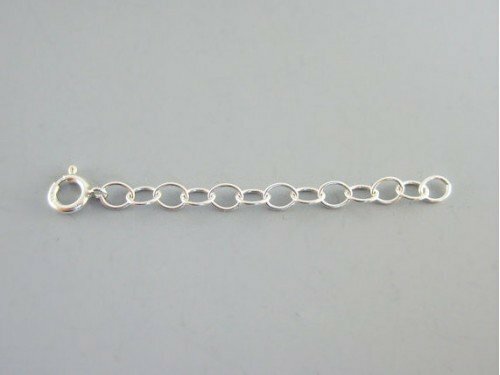 You can further personalize this baby footprint necklace with baby's name and birthday, or just about any short loving quote you want!